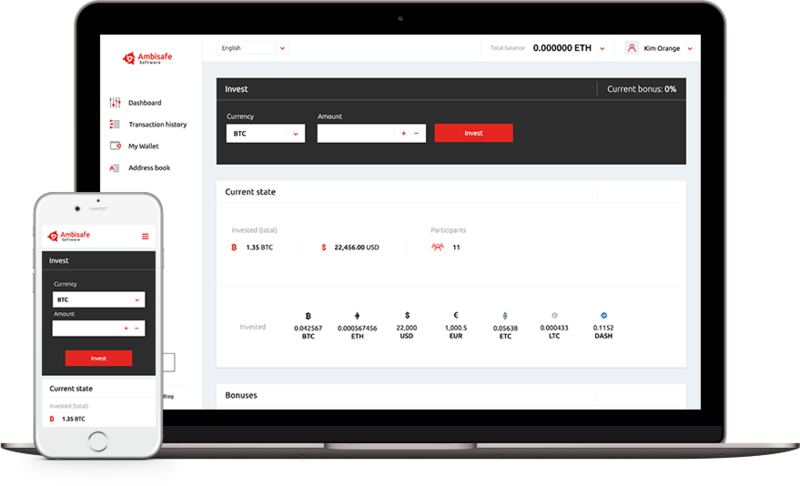 Our platform is customized to your look and feel, integrates with a KYC/AML provider and allows you to easily collect funds using BTC, ETH, USDT, USD, EUR. The embedded data processing system offers multiple option for the customization: from currencies accepted and referral programs to contributor interface and KYC/AML settings. The platform can be fully configured in a couple of hours. Tailor the look of your platform to your exact branding specifications. We are available to assist with both design and development. Have your wallet translated into multiple languages. Launch and analyze your CPA campaign via our token sale platform. Ensure that your clients always get the care they need. Credit card integration requires a third-party processor. The client is responsible for providing this. Services in this section are available at an additional cost. Start your token sale now! Set-up a call with one of our blockchain experts.